It can be frustrating looking for great fabric in the UK but these online shops with their range of fabrics, trims, notions and patterns all help to increase my stash and make my life just that little bit better. These shops are either quilting, dressmaking or both. No frills, no pictures- just info! I recommend shops that appeal to my tastes and/or shops that I have used. They are all online, some are also bricks and mortar and they all have a website. Entries are not paid for or sponsored, although I do include my sponsors as they are great shops. If you have a shop to suggest for this page- the most popular page on my blog, please let me know. You only get a small flavour online on the vast selection that you will find in their bricks and mortar shops but don't let their website pass you buy. A good selection of patterns (Simplicity and Kwiksew), other crafts like knitting, crochet and felting alongside a selection of fabrics for crafting/dressmaking. The staff in the shops are knowledgeable, helpful and friendly. Workshops available to book at many of their shops and a new cafe and gift shop at Mostyn. Lots of affordable dressmaking fabrics and an easy website to navigate. There's a special range for fashion students or anyone looking to develop their pattern drafting. Includes offers to bulk buy calico for toiles, pattern drafting kits and more. A great source of Liberty fabrics, not just Tana lawn but also interior/decor weight, fleece, corduroy, jersey, linen and silk. There is also an Alice Caroline blog with tips and techniques. Great choice of dressmaking and craft fabrics as well as an expanding range of patterns (printed and PDF) along with a super selection of kits including toys and embroidery. Alice also has a bricks and mortar shop at Burwash Manor. A shop selling beautiful things for people who make, including sewers. Gorgeous scissors, french haberdashery and trims, leather scissor cases, hand-turned wooden pincushions. Great for gifts! Nice selection of well known quilting cottons- Moda, Tilda, Art Gallery Fabrics, plus Shannon Cuddlesoft. wool felt and exquisite looking Moda woven wool fabrics by the fat quarter. Organic fabrics including a good selection of woven and jersey - sweatshirting/French terry, rib, velvets, voile, gauze, and more. Huge choice including a lot of dressmaking fabrics in a wide range of fibres and weight. Sold online by the metre but you can ring up to get different quantities. The haberdashery range is extensive and caters for all budgets including bulk buying of different zips for bag/clothing and cushion makers. Delivery is low cost at £2.50 for orders under £50. Great stock of fabrics including Kokka, Lecien and much more- Gwen has a great eye for something different. Gwen recently moved from UK to Ireland so check postage to UK. Wonderful for kits- everything printed on the fabric, no need for pattern pieces. Plus a great range of fabrics, trims, books and house goodies. A hidden gem for dressmakers. You can select choosing what you intend to make- the 'wardrobe' option, or by fibre- cotton, viscose etc, or by colour. Worth checking in regularly as stock changes and the remnant bargains go quickly. Great for buying USA and Aus magazines and more- Quiltmania and related titles for example. Comprehensive stockists of quilting supplies and a good range of fabric- Anna Maria Horner, Kaffe, Joel Dewberry etc. Worth having a good search through the website. Lots of precuts to chose from. Haberdashery, magazine subscriptions and many specialist international items. Carefully selected fabric selection including Art Gallery and Atelier Brunette plus indie dressmaking pattern stockist- Sew Over it, Tilly and the Buttons, Grainline, amongst others. Aimed at dressmaking more than quilting. Well known fabrics like Cotton+steel, lots of dressmaking substrates- rayon, cotton chambray, plus quilting cottons. Selection of indie sewing clothing patterns. Notions include Swedish paper and Tula scissors and other hardware. Extensive range of dressmaking fabrics, lots of variety and a quick turnover so buy it when you see it. I find fabric here that I cannot find elsewhere including beautiful Paul Smith shirting and lots of varieties of cotton from crepe to lawn. Excellent sample service. Highish postage so I tend to buy a lot not very often! High quality knit/jersey fabrics manufactured at their UK mill. Huge selection- loopback/French terry, fleece, Ponte Di Roma, Lycra jersey, organic cotton and fibres/blends including linen, cashmere and merino. Brighton based bricks and mortar and online shop, specialising in a large variety of good quality dress fabrics, jersey/knit, cottons including Michael Miller prints and a lot more. Swatch ordering is available. Great customer service! Dig out the pennies, raid the piggy bank- you are going to need everything you can find after seeing this selection of vintage beauties. Beautiful vintage fabrics from the 19th century onwards. Limited supplies so check in regularly to see what is available. The real deal. A great big selection and often many bargains to be had. Lovely range of shirtings (P. Smith again, see also Croft Mill) and lots of wadding choice for quilters. I know the owners of 'Dotty Dolly', Debby and Joan, and they are both wonderfully helpful. They have a shop in Wellington and run a range of course and workshops as well as stocking lots and lots of fabric. Visiting in person is the best option. Specialising in designer dressmaking fabrics, there are some real beauties here including a range of boiled wool fabrics, lots of high quality voile, linen, jersey and more. There are sample packs available in some ranges. You will also find Indie dressmaking patterns and Ottobre magazines. A contemporary selection of fabric and patterns with the emphasis on natural fibres and quality. You will find Merchant and Mills patterns and supplies, Nani Iro fabrics and organic plain and gingham cottons and a small selection of embroidery kits from designers like Nancy Nicholson and Kiriki. Excellent quilting making and dressmaking selection and a bricks and mortar as well as an online shop. Haberdashery is extensive, especially for quilters. Large range of craft fabric- especially Riley Blake and other pretty and cute fabrics. Includes plush, coated cotton and corduroy as well as the usual quilting cottons. Worth digging around the website and unearthing the treasure- e.g. Lecien and Sevenberry prints amongst the Tilda, Michael Miller and Riley Blake. A lot of kits including cute crochet animal makes. Small online fabric shop with a growing selection. Ranges include Cotton+ Steel, Makower, Andover and Robert Kaufman. Emma puts together lovely FQ bundles. Based in Kent with occasional open days during the warmer months. Anna has an excellent range of prints and offers from FQ upwards. There are bundles and themed monthly clubs to join. Eternal Maker stocks an extensive range of Japanese fabrics and notions as well as a huge number of Aurifil threads and Lecien Cosmo Embroidery threads. Dressmaking and quilting are both well catered for. Traditional Japanese fabrics for patchwork and interiors. Also stock notions including flex frames and Sashiko threads and preprinted fabrics. A small but classy selection of dressmaking fabrics, many designed by French fabric design companies like Atelier Brunette. Online fabric shop with modern colourful designer cotton fabrics and Japanese linen/cotton blends. Now with their own online shop, there's dressmaking, quilting and home decor fabrics. Great selection, especially Liberty lawns. Dressmaking fabrics from with designer (e.g Dolce and Gabanna) pedigree, lots of substrates (silk, wax print cottons, denim etc) and there are lots of kits available including leather satchel bags that you sew yourself. Usual indie range pattern designers. Patchwork and quilting fabrics. A wide selection with lots of Japanese fabrics including Sevenberry basics, Japanese corduroys, and lots of retro and vintage inspired designs. Online and bricks and mortar shop selling a wide range of fabrics as well as Brother sewing machines. Dressmaking, quilting, upholstery fabrics all in stock. A lively selection of quilting and craft fabrics, with lots of bold illustrative prints. Low cost postage- £1 flat rate, any current discounts are automatically added without the need for codes. Minimum 0.5 metre order and I can't see any fat quarters available. A mill shop in Yorkshire with a great selection of bargain fabrics in their online store. Fabrics designed and printed in the UK. Lots of stretch fabrics to choose from including specialis fabrics like Supplex, power mesh, shiny fabrics. At last, somewhere in the UK that sells exclusively knit fabrics at reasonable prices! This is the UK arm of the Girl Charlee USA and it sells online and also wholesale for those looking for that. Large selection and a relatively easy website to negotiate. There is also a customer referral points reward programme. A small but well presented collection of well known quilting names: Lakehouse Dr Goods, Art Gallery Fabrics, Moda, Free spirit etc. Selection of sewing patterns including Anna Maria Horner, Topp P (linked to Rowan), some children's wear, Amy Butler, Heather Bailey. Large selection of fabric for dressmaking and craft including Liberty Art lawns. Original selections, you may well find something you haven't seen elsewhere. Great clothing fabric options. You will also find habdash, patterns, bag making and more. Online shop specialising in jersey/knit fabrics with a wide range of jersey, french terry, sweatshirt fabric and more. A thoughtful collection of fabrics for quilting, craft and dressmaking. Aurifil Threads and lots of indie clothing and quilt patterns to choose from. A small range of fabrics- Moda, Amy Butler, Kaffe and good range of Amy Butler patterns. Small range online shop- Moda, Michael Miller, Tilda, Riley Blake. Craft and some dressmaking fabrics too. Kaleidoscope Quilts Excellent for notions e.g. 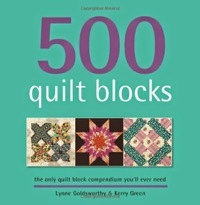 Clover, extensive range of quilting books. Massive shop in Henley-on Thames and mail order/online service too. Huge range of fabrics, tools, Accuquilt, interfacings and much much more! Great selection of reproduction fabrics including Civil War, Aunt Grace, 1930s and much more. M is for Make On of my favourite UK online shops. I love Kate's selection of hand picked fabrics and she has a great eye for prints and fabrics from the best designers. Check out her hand selected bundles for great fabric combinations. Great range of Indie patterns. Specialises in hand printed fabrics and there are some great fabrics to be found- if you can find them: the search facility is not the best! Umbrella Prints, Ink and Spindle are some of the great names to be found. Usual quilting cottons e.g. Tula Pink can also be found there. Worth the search! Also sells yarns. Good jersey selection. Outstandingly good quality natural fabrics- chambray, denim, yarn dyed, wool, linen and more. Sample service which is definitely worth trying before you buy. Your parcel arrives beautifully packaged too. Nice range of tasteful discrete haberdashery and sewing ephemera. Excellent selection of stretch fabrics including french terry, cotton velour and lots of different jersey option. Good prices too. Vast selection of dress making, craft and furnishing fabric and more- knitting, needlework etc. Minerva work with a range of sewing bloggers with their Bloggers Network where bloggers use Minerva materials on projects shown on their blogs and Minerva then sell kit style packs to make the same item. Good selection of well known designers and manufacturer in a variety of cuts- fat quarters, fat eights, strips etc. Embroidery patterns and kits also available. Extensive selection of small quilting cuts (mostly fat quarters) and kawaii cute prints in cotton, linen, double gauze and blends. I see prints here that I don't see anywhere else. The website takes some time to navigate. Prices include UK delivery. Large and comprehensive selection of fabric for fashion, children and house decor. Good navigation on the site around the 8 000 available fabrics and there is detailed info on each fabric. The photographs deserve note, on many fabrics they show the same fabric made up into different garments which is helpful. Competitive pricing. Quilting fabrics- modern and more traditional, small range of dressmaking sewing patterns including Debbie Shore and Tilly and the Buttons. Extensive range of gift and subscription boxes containing themed fabrics, thread and trims. Handwoven shot cotton fabric for quilting, clothing etc. Beautiful quality and colours. Oakshott cottons are fine but strong. Fabrics can be bought individually and in tonal packs in a variety of cuts. Furnishing fabrics also available too. Friendly service. Free patterns for quilts/cushions/bags using Oakshott cottons. Lovely selection of quilting fabrics and a growing range of patterns and kits. Saira also sells Bloc-loc rulers. Art Gallery, Andover, Dear Stella. Cotton+Steel and more. Stockist of ByAnnie.com patterns and supplies. Sells Bloc-loc rulers. Bricks and mortar +online shop. Also stock some discounted fabrics from well known brands, e.g. Lewis and Irene, Moda. Comprehensive traditional selection. Good for Lecien basics. 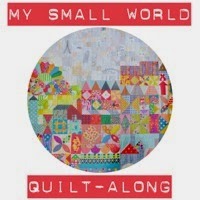 Online quilt supplies shop selling traditional prints with a little modern mixed in. Also selling freezer paper English Paper Piecing templates and ready-cut fabric charm packs to complement the shapes. Super range of specialist fabrics as well as lots of quilting fabric including lots of Alexander Henry prints. Fabrics/notions for making baby nappies- terry towelling, Kam snaps and presses. Waterproof fabrics, oilcloth, laminates, home dec, Cuddlesoft, interlock and much more. Excellent range of dressmaking fabrics and patterns. Kellie offers a Plush points rewards system for registered customers. A pretty selection of fabrics with a lot of florals to chose from amongst other prints. There's a good range of sewing kits aimed at children and as well as some for adults. Stocks a small range of yarn, knitting and crochet materials and patterns. A great source for 1930s repro style fabrics and vintage inspired prints. Stockist of Lori Holt of Bee in my Bonnet books like 'Farm Girl Vintage'. Also stocks National Non Woven felts which are used by Alicia Paulson of Posie got Cozie to make Maggie Rabbit and her other softie animal creations. There's a good selection of different weight Aurifil threads available too. Lots of cute and pretty feminine fabrics. Easy to search by colour, maker and designer. Expanding haberdashery selection. 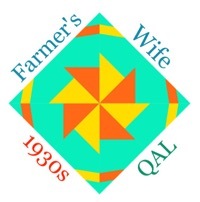 I buy from this shop when they exhibit at my local quilt festival each year. Invalulable for daylight bulbs, cheaper rotary blades and all sorts of quilting/sewing tools and gadgets. Big selection of modern quilting fabrics including Kaffe Fassett, Oakshott, Tula Pink and much more. Have a look at the bargain section, some great offers to be had! Big selection of everything patchwork and quilting related. It can take a while to get through the menu options to find the fabric you are looking for but there are a lot of search options available and there are a lot of familiar quilting ranges listed. Specialist stockist of luxury haberdashery for dressmakers. Includes very speciaific interfacing tapes e.g. for waistbands or hems, small selection of fabrics, wadding, liningm interning and trims. Now with a London-based bricks and mortar shop and workshops. Beautifully curated selection of fabrics including organic cottons, crossweaves, double gauze, organic jersey and much more. Indie pattern selection and beautiful FQ bundles. Bricks and mortar stores across Scotland and a good online shop, Remnant Kings stocks quality fabrics including interiors, dressmaking and quilting at competitive prices. Online shop and longarm quilting service including basting, pantographs and binding. Karen stocks some specialist items like Quiltmania block of the month, books and magazines, Jen Kingwell patterns, Apliquick tools alongside a selection of modern and traditional quilting fabrics. Jessie stocks a great range of 30s repro and pretty prints- Lots of Pam Kitty Morning Fabrics and cuteness here. She is also a Paper Pieces stockist- precut hexagons etc for English paper piecing. Stocks a range of Aurifil 50/2 threads in neutral and 30s colours as well as the new 80wt thread, ideal for applique. Specialising in dressmaking patterns, fabrics and kits. Enormous range of patterns with lots of Indie designers as well as wik sew and Hot patterns. Liberty lawn, poplin , corduroy, jersey and Lifestyle fabrics are all available along with John Kaldor and cotton fabrics. Low flat rate postage in UK. Mix of quilting and dressmaking fabrics including jersey and coating. Some handmade and paper sewing themed goodies including the Sew Crafty Journal. Sew Essential I primarily use this shop for sewing/dress patterns but they also sell a good range of haberdashery and sewing accessory, especially good for dress making. Useful for range of Lecien fabrics but the online shop doesn't not show the full range that they have available and is not kept very up-to-date. A varied and well chosen selection of quilting cottons. Sew Hot sells a lot of products I can't always find elsewhere in the UK including Zakka Workshop patterns, my favourite hand sewing needles- Jeanna Kimball's Foxglove Cottage straw needles as well as Bohins, Richard Hemming and other needles. Stockist of Pellon SF101 shape flex- an excellent cotton fusible interfacing often used in American bag and wallet patterns, as well as other Pellon products. Lots of kits and interesting monthly clubs. Run by a English and USA quilter. Online shop based in Lancashire. This online and bricks and mortar shop is really worth a visit in person so you can witness their jaw-dropping range of Liberty fabrics. From lawn to silk to corduroy, rolls, remnants and small pieces- its all in there and there is so much of it. Room after room of beautiful Liberty fabrics. And if that wasn't enough, there is shirting and other fabrics. Save your pennies and spend a happy afternoon in there. I came across this supplier whilst looking for a good stockist of stretch denim. Established in 1945, it is a solely online shop with a great selection of garment fabrics including denims, chambrays, designer high-end fabrics and much much more and a sample service. Apparel fabrics with a good knit/jersey fabric selection. This oneline shop specialises in quality dressmaking fabrics. The selection is supported by Cheryl's YouTube video channel, where she showcases her latest makes and fabric arrivals as well as sharing tips. The fabrics are is very well described in a dressmaker's vocabulary! Bricks and mortar and online, based in Totnes and worth visiting in person to get the full experience. Dressmaking fabrics with the most wonderful selection including designer rolls and end of lines. Big designer names: Missoni, Boden, Benetton, Swatch service available. Specials shop selling a mouthwatering selection of buttons, trimmings, brooch pins and fasteners. The buttons are made in a huge range of material from shell to manmade and the quality is excellent. Fast efficient mail order service. Best known for the range of kits- knicker making, bra/bralette, patchwork etc. A mix of dressmaking and quilting fabrics including Michael Miller, Makower, Saffron Craig plus cheaper dressmaking chiffons/jerseys. Sewing patterns for bags and clothing from indie designers. Bricks and mortar and online, Tikki London is situated in Kew Gardens, West London and is a treasure trove of beautiful fabrics including repro 1930s, Liberty Tana lawn and Kaffe Fassett fabrics. Focuses on dress fabrics and patterns with a good indie designer selection. There are craft/quilting fabrics too but everything tends to be mixed together on the menu so you need to hunt or enter your own search preferences. Perhaps best known for her Trixie Lixie knicker making kits, Trixie Lixie is also a fabric and haberdashery online store with an extensive range of patterns and more kits for making garments, toys and accessories. Vast selection of fabrics online from cheap and cheerful to the more specialist including sports, technical, waterproof, tartan, fleece etc. There are a lot of dressmaking fabrics listed and each fabrics is described in detail with description/fibre content and care advice. A selection of fabric, dressmaking, quilting, knitting, crochet, tapestry and more on an easy to navigate website. Now a bricks and mortar shop as well as online. Lots of other craft materials available- soap making, paper etc.